Starting from scratch is a unique opportunity where we get to listen and carefully create and apply a new brand to multiple touch points. Looking at the lines of furniture Norwood would carry, Ignition determined that Norwood's brand should have a modern sensibility. The undertone: "Love where you work." the quality and detail of the collections offered. American walnut, leather, & stainless steel. Norwood's clientele has great taste. They know what they want. Quality, style, and materials are all important. 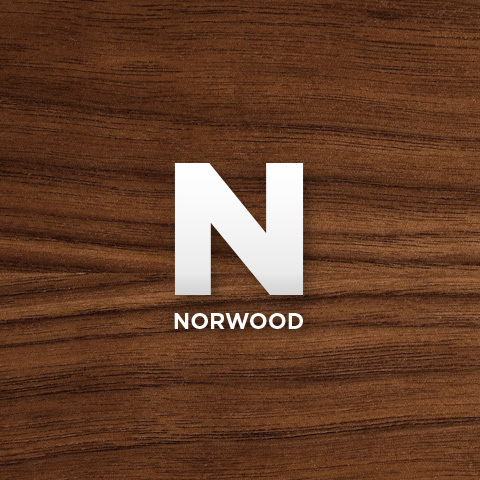 Norwood's brand exudes the attention to detail that their clients are looking for. Email newsletter campaigns. Ignition created multiple goal-oriented email newsletter campaigns to help grow Norwood's customer base. 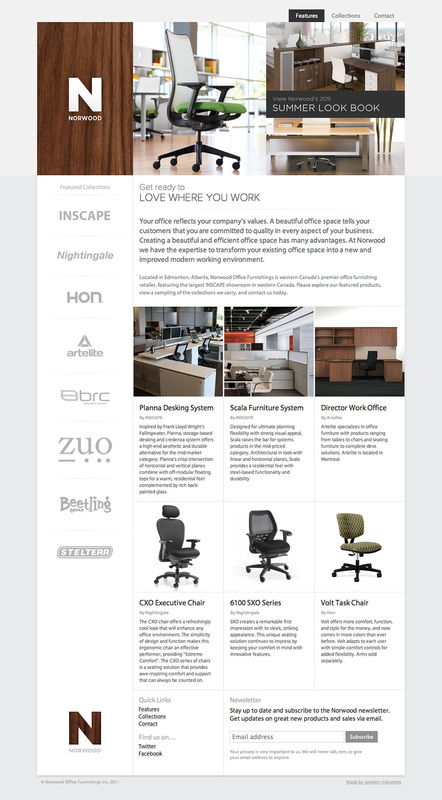 Using our favorite newsletter platform we delivered uniquely designed email newsletters that created lead generation and client communication. Content Management Layer. 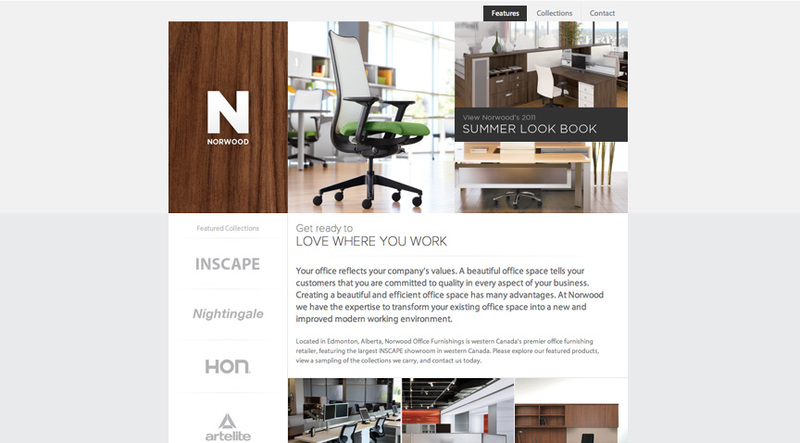 Ignition created a simple content management layer to quickly manage featured products and collections. While Norwood's initial content management needs are minimal, our content management layer is ready to grow with their future needs.